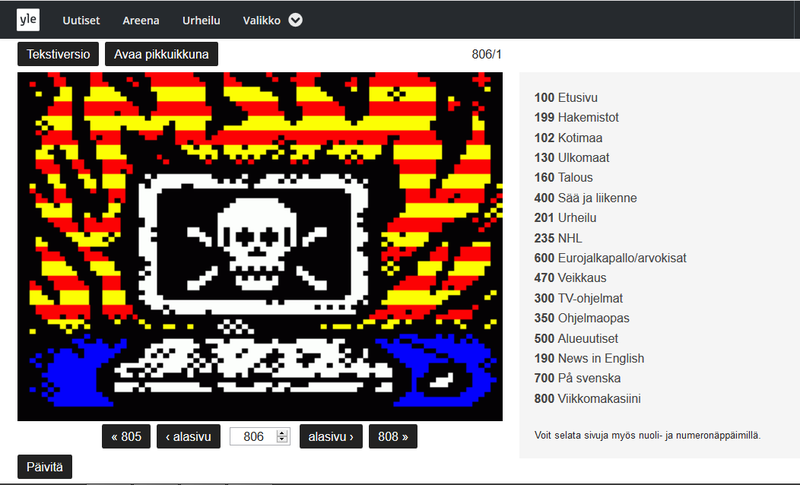 YLE Text are currently rebroadcasting some of Illarterate’s artwork from the 2013 International Teletext Art Festival. 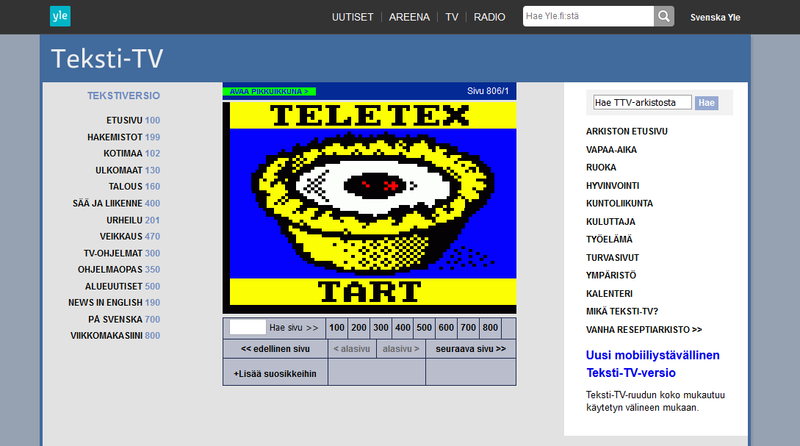 It is a little known fact, but the Finnish public service have been continuously hosting teletext art for a while now. The Museum of Teletext Art has been running since 2014, and to date has featured the work of dozens of teletext artists on page 805. An archive of the MUTA artworks can be found online here – advance through the date field month-by-month to see the variety of artists showcased. There is also a selection of additional art on page 806. Towards the end of last year, it was here that YLE rebroadcast art from Arkistopix 2012, with artwork from various members of the teletext-viewing public. And over the last few weeks, Illarterate’s entries for the 2013 Teletext Art Festival have been on show once again, including includes Sweet Rockall, Good Times the ubiquitous Teletextart. See all of my entries from that year here.